Ganache, 6 Chocolate Eclairs. ...read more. 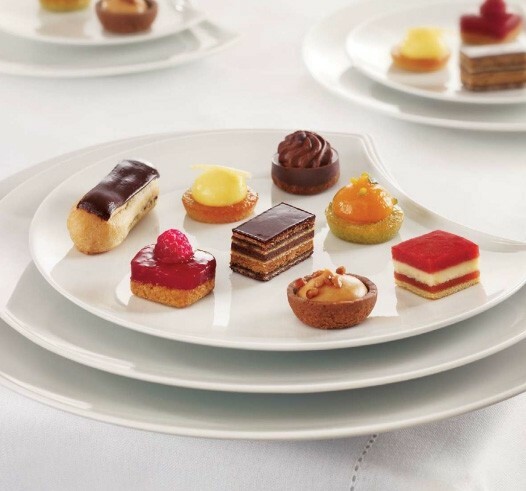 48 units a tray $59.90 Assortment of 6 Lemon Domes & Almond Cakes, 6 Opéra Cakes, 6 Raspberry Shortbread Cakes, 6 Apricot & Pistachio Cakes, 6 Cocoa Tart, Toffee, Pecan Nuts Cakes, 6 Fraisier Cakes, 6 Chocolate Shortbreads & Ganache, 6 Chocolate Eclairs.